We have been using our own hand dyed silks in our products for a while now, but we have had so many clients begging us to include them in even more. So now you can add silk to most of your orders. 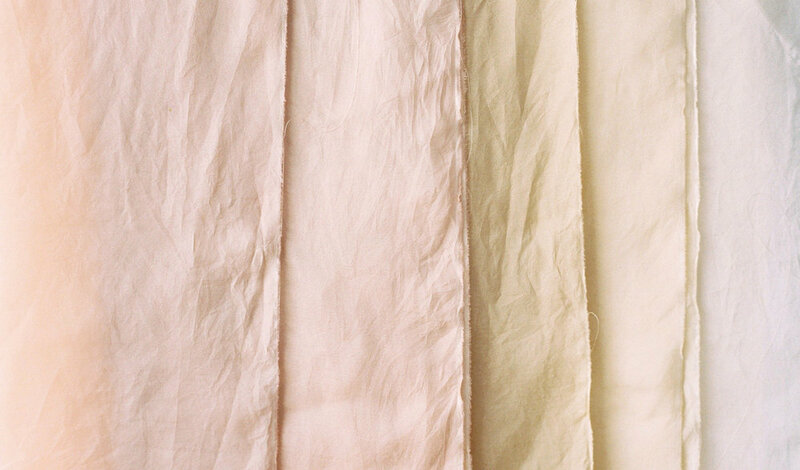 Our silk is hand dyed in the kitchen of our Creative Director, Kate Atkins. She uses natural vegetable dyes and then tears and irons each piece ready for you. Products shot by Bentinmarcs on Kodak Portra 400 120 film on Contax 645. Please Note! We do very small batches and colours will vary from batch to batch. These colours are available now but once they have sold out we will offer new colours.